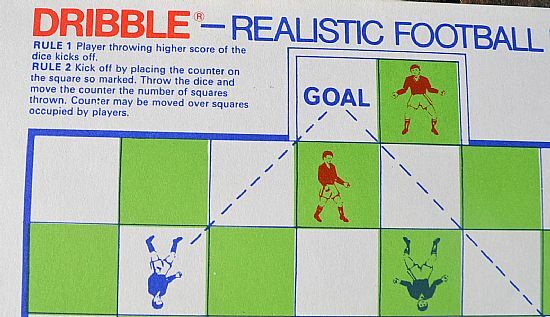 A very simple grid and counter type game on a piece of card. 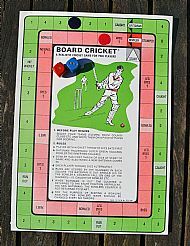 No idea where it comes from, also has a cracking cricket game on the reverse. 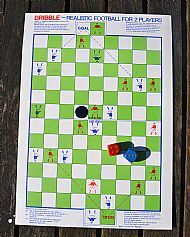 Classic grid system with basic printed players. 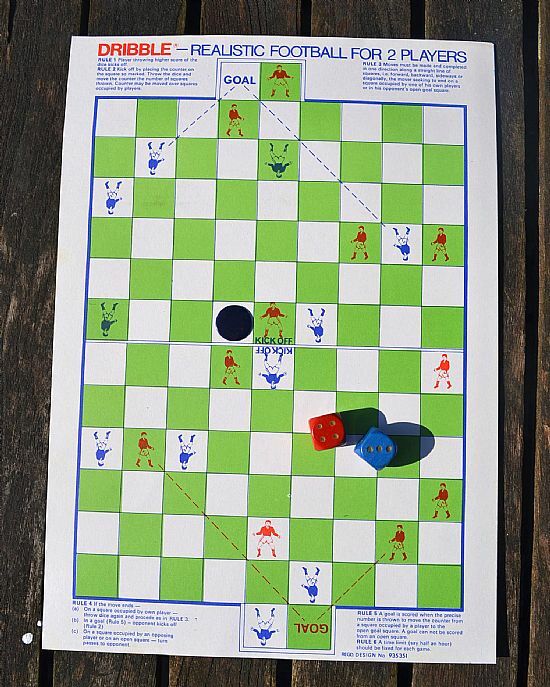 Using the players as marker points works very well. 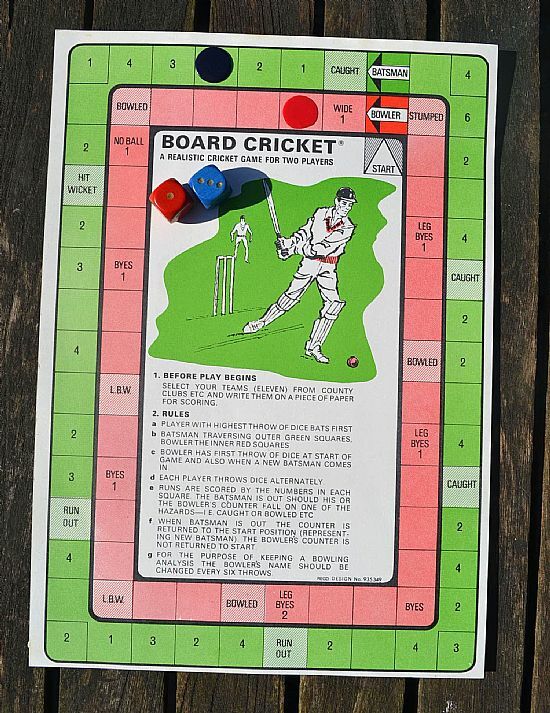 On the reverse is a superb little cricket game that uses dice and counters, really superb gameplay and very realistic using two tracks, one for the batsman and one for the bowler.